Sorry Clarke Gayford, Geoff from Outdoors with Geoff and Matt Watson, the people have spoken. Fishing isn't a sport. What about speed-walking? What a joke - it's even an event at the Olympics! What about eSports? Are the even classed as a sport? I'm not sure, Ricky... if you follow some of the athletes on Instagram they love to play them though. TJ Perenara and Rieko Ioane love them for example. Do we have a scheduled start time? There is none. Tea interval is officially 3.30-3.50 but not soul on the ground, and not raining. The blood starts to boil. Fingers crossed for a 4:00 start time, Come on groundsmen! they must be waiting for the rain to pass as looking at the radar - looks like its getting lighter now...so get it over done with? Actually to be fair it is slightly raining now, and as these keys are being struck, it is steadily getting heavier. Have a bad feeling about today. 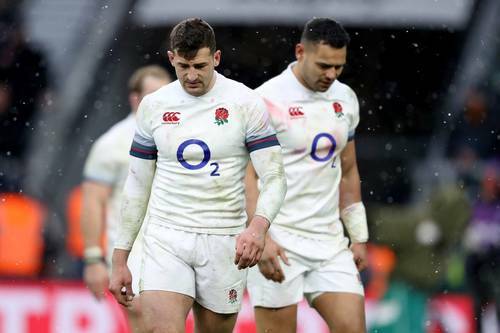 What is you're take on Eddie Jones and the England rugby team? Has the Aussie done his dash? Does anyone know if Black Caps actually secured the Boxing Day test in MCG? I remember it was talked about last year? I've not heard word since January, Chris. I think it was confirmed that we were in the running. Chris I think you may be one year out. Nothing confirmed yet. Sitting here in Parnell, where its been dry all day ... wonder if there's a better location for a rugby/cricket stadium? Well its a big planning issue, I know, for all sorts of reasons. Where do you think a new stadium should be Luke? I'm not to sure, Mikey. A waterfront stadium doesn't make a whole lot of practical sense to me, but the idea of somewhere like Victoria Park wouldn't be too bad. Close to the work office too ;) What do you think? Carlaw Park? or has that been built over now? I'm either too young not to know Carlaw Park, or too much of a mainlander to know where or what Carlaw Park is Chris. In reality - Eden park is the best location for the stadium - but its poorly designed - as the train stations etc have all been renovated and transports are now better are they not? its just a very badly designed stadium... Or am I wrong? Public transport is a bit of an issue when it comes to events at Eden Park, or at least everyone likes to say that it is. It could be interesting to see if they could make a ground at Eden Park's Outer Oval. I know the Aces play there, but it's a bit small for international cricket. Another interesting fact I've come across this afternoon, Sachin Tendulkar and 23 other cricketers made their international debuts in 1989. The last one to retire before Tendulkar in 2013 was Chris Cairns in 2004. Demolish Eden park and build NZ's version of Etihad - 40k (but with extra seating up to 65k) - just in case we're crazy enough to bid for RWC again. and have it adjustable from rectangle to oval etc - will need some good technology there... but that'd be amazing. Today's forecast has changed on Metservice now. It says that Auckland should expect showers with possible thunderstorms, instead of occasional showers. We should hopefully get some sort of update shortly. Tea was scheduled to be taken from 3.30-3.50pm, but if it's raining heavily I can't imagine we'll get back on. I like your thinking Chris ... rebuild Eden Park. Would be years without a big stadium though. "The bitter irony is that both yesterday and today the morning was fine and the weather went bad just in time for the cricket. If the test hadn't been day/night the first session could have been played both days." Yes, a very interesting point to take. The day/night test was meant to bring in the crowds and if we had more of the same in terms of Thursday's performance, I'm sure we would. But there's not much we can do about the weather I guess. 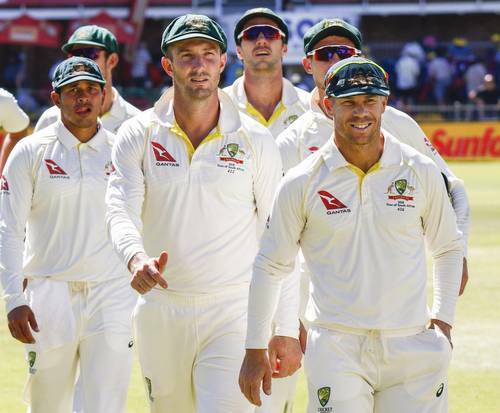 We've talked about this a couple of times today, but do they Australian's deserve everything they've been dealt? I am looking out the window of my office at the University of Auckland, where Carlaw park once was. Once a Rugby League venue in the cental city that is now apartments and shops. Not raining here at the moment, some chance of play, little chance of a crowd. Most people I know are looking at heading down tomorrow evening. It's a better forecast for tomorrow I think, @Luke Oldfield. Metservice is saying: "Showers, possibly heavy, becoming few in the morning and fine breaks developing. Light winds."